It’s A Milestone! 40 Years of Kissing the Pout! 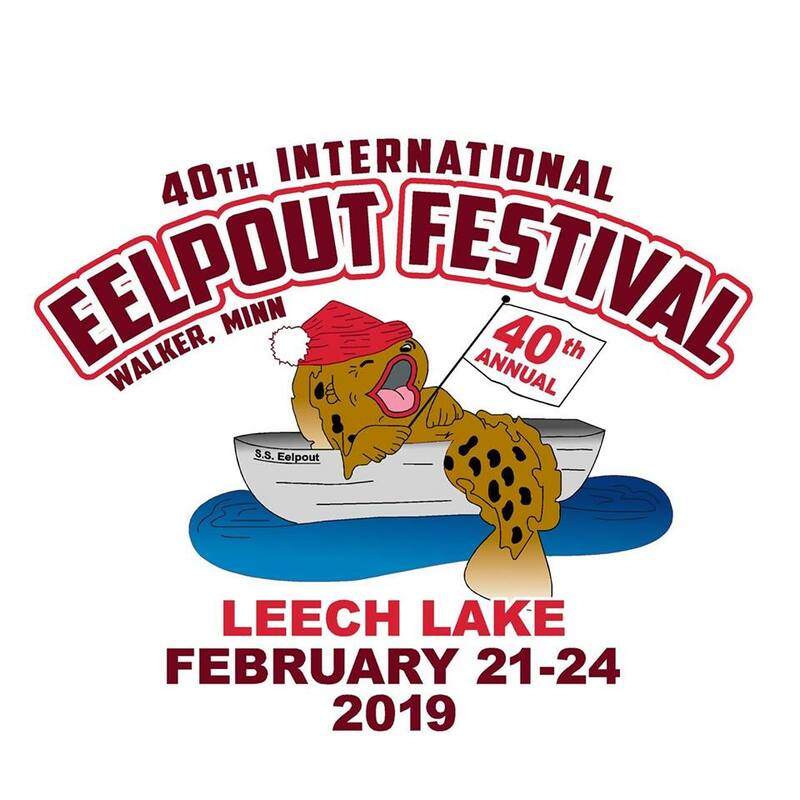 Yes, make plans to attend the 40th annual Eelpout Festival in Walker next week. The opening ceremony takes place on Thursday, February 21st and you won’t believe all the fun that will follow! 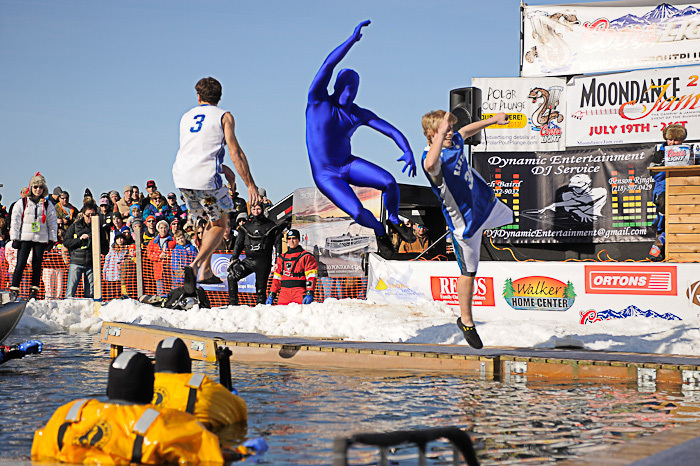 The Vortex is behind us and this fun festival is a great way to celebrate Minnesota Winter. You can choose to be a spectator or join in the fun. Something for everyone can be found at the Eelpout Festival! Information about the festival button can be found here. Opening Ceremonies (Thursday starting at 6pm): Live music w/Corey Medina in The 502 and Pre-Pout Kick-Off Party in the Chase Big Top Tent. Pout Curling (Saturday 11am- 2pm): Patrons can throw “The Eelpout Rock” and try “sweeping” to victory. Walker’s local curling club facilitates the “stone-pout” throws and button landings. Pout Curling is located behind the Chase Big Top Tent. Dog Sled Rides (Saturday 10am- Dark): Experience a K-9 led tour of the grounds … and so mush more starting in front of the Walker Marina. Eelpout Weigh In: This unique “cultural submersion” operates daily, capped with an awards ceremony on (Sunday 9am-10am) in front of The Chase big Top Tent and includes thousands of dollars in prizes for the most pout pounds. 6th Annual Kids Perch Jerk (Saturday Noon-1pm): Savings bonds will be awarded to three biggest perch caught. Holes will be drilled for the kids. Parents, just bring poles and bait. Polar Pout Kart Races (Saturday 11am-2pm): Lake next to Chase Big Top Tent with trophies and cash prizes! Human Whack-A-Mole (Saturday 11am-2pm): Chase Big Top Tent. Kissing the Pouton the lips is a long-held Minnesota tradition … Not for the faint of heart, but legend says it will provide good luck for the entire year! Sip an ice-cold drink at the 50,000 lb Jameson Irish Whiskey ice bar built (literally) on the lake! Enjoy the Eelpout Fish Fry including REAL eelpout nuggets. Arguably the biggest attraction of the Festival is the ever-growing city of lake encampments (some built from scratch). Tour and immerse yourself in a culture simply too unique to explain to those who “haven’t been” … For example, ever ridden an Ice-Couch Land Cruiser! ?